When UC Santa Barbara geology professor emeritus James Kennettand colleagues set out years ago to examine signs of a major cosmic impact that occurred toward the end of the Pleistocene epoch, little did they know just how far-reaching the projected climatic effect would be. He’s talking about the Younger Dryas Impact Hypothesis, which postulates that a fragmented comet slammed into the Earth close to 12,800 years ago, causing rapid climatic changes, megafaunal extinctions, sudden human population decrease and cultural shifts and widespread wildfires (biomass burning). The hypothesis suggests a possible triggering mechanism for the abrupt changes in climate at that time, in particular a rapid cooling in the Northern Hemisphere, called the Younger Dryas, amid a general global trend of natural warming and ice sheet melting evidenced by changes in the fossil and sediment record. “We have identified the YDB layer at high latitudes in the Southern Hemisphere at near 41 degrees south, close to the tip of South America,” Kennett said. This is a major expansion of the extent of the YDB event.” The vast majority of evidence to date, he added, has been found in the Northern Hemisphere. 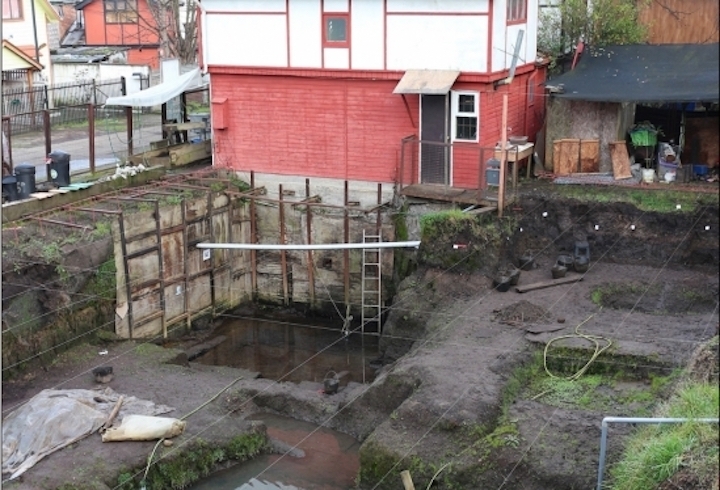 This discovery began several years ago, according to Kennett, when a group of Chilean scientists studying sediment layers at a well-known Quaternary paleontological and archaeological site, Pilauco Bajo, recognized changes known to be associated with YDB impact event. They included a “black mat” layer, 12,800 years in age, that coincided with the disappearance of South American Pleistocene megafauna fossils, an abrupt shift in regional vegetation and a disappearance of human artifacts. “Because the sequencing of these events looked like what had already been described in the YDB papers for North America and Western Europe, the group decided to run analyses of impact-related proxies in search of the YDB layer,” Kennett said. This yielded the presence of microscopic spherules interpreted to have been formed by melting due to the extremely high temperatures associated with impact. The layer containing these spherules also show peak concentrations of platinum and gold, and native iron particles rarely found in nature. Other evidence, which, Kennett noted, is consistent with previous and ongoing documentation of the region by Chilean scientists, pointed to a “very large environmental disruption at about 40 degrees south.” These included a large biomass burning event evidenced by, among other things, micro-charcoal and signs of burning in pollen samples collected at the impact layer. “It’s by far the biggest burn event in this region we see in the record that spans thousands of years,” Kennett said. Furthermore, he went on, the burning coincides with the timing of major YDB-related burning events in North America and western Europe. “The plant assemblages indicate that there was an abrupt and major shift in the vegetation from wet, cold conditions at Pilauco to warm, dry conditions,” Kennett said. According to him, the atmospheric zonal climatic belts shifted “like a seesaw,” with a synergistic mechanism, bringing warming to the Southern Hemisphere even as the Northern Hemisphere experienced cooling and expanding sea ice. The rapidity — within a few years — with which the climate shifted is best attributed to impact-related shifts in atmospheric systems, rather than to the slower oceanic processes, Kennett said. Meanwhile, the impact with its associated major environmental effects, including burning, is thought to have contributed to the extinction of local South American Pleistocene megafauna — including giant ground sloths, sabretooth cats, mammoths and elephant-like gomphotheres — as well as the termination of the culture similar to the Clovis culture in the north, he added. The amount of bones, artifacts and megafauna-associated fungi that were relatively abundant in the soil at the Pilauco site declined precipitously at the impact layer, indicating a major local disruption. The distance of this recently identified YDB site — about 6,000 kilometers from the closest well-studied site in South America — and its correlation with the many Northern Hemispheric sites “greatly expands the extent of the YDB impact event,” Kennett said. The sedimentary and paleo-vegetative evidence gathered at the Pilauco site is in line with previous, separate studies conducted by Chilean scientists that indicate a widespread burn and sudden major climate shifts in the region at about YDB onset. 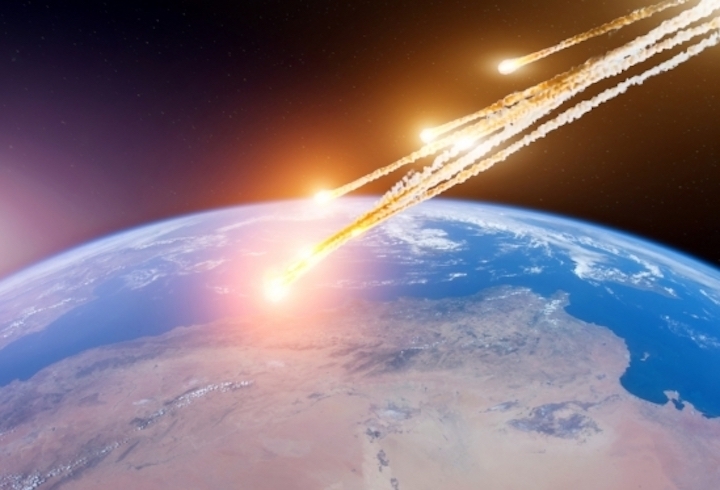 This new study further bolsters the hypothesis that a cosmic impact triggered the atmospheric and oceanic conditions of the Younger Dryas, he said.